When Food Network Magazine asked me to create an Easter egg that represented my state for a special feature, I was happy to say yes! Springtime in Arkansas is spectacular with blooming dogwoods, red buds, apple blossoms, and bulbs galore. I simply cannot breathe in the fresh Spring air enough! Ahhhhh. The blossoms and the weather stir all kinds of feelings of excitement about Spring events like Easter, Mothers Day, graduations, showers and more! So I combined my love of Arkansas springtime with my love for the season's hosting events, and I made this flowery spring egg that will serve beautifully as a place card holder, table decor, and even a little take-home favor for your guests! 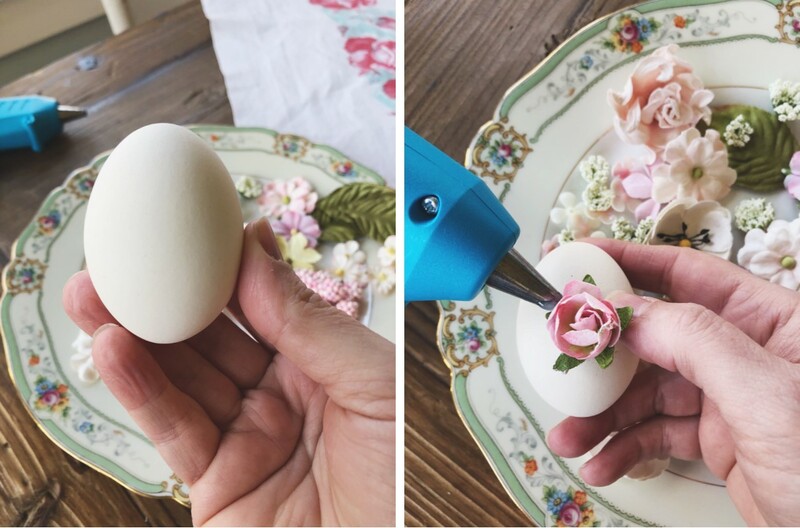 To make this egg requires only a few supplies and a little creativity! 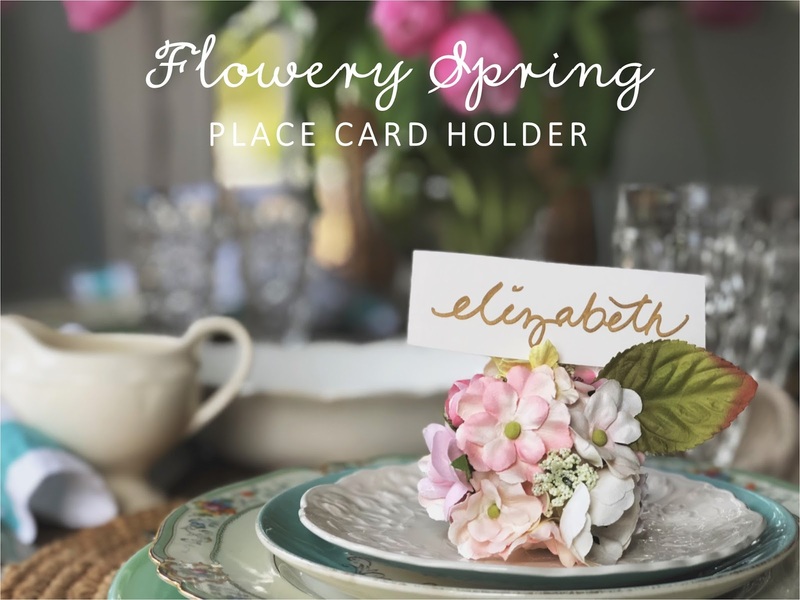 Here's how to make the DIY flowery spring place card holder for your own Spring gatherings around your table! Be sure to buy a copy of my cookbook Love Welcome Serve to help you plan your Spring menus! Signed copies HERE! Also available online at your favorite booksellers! 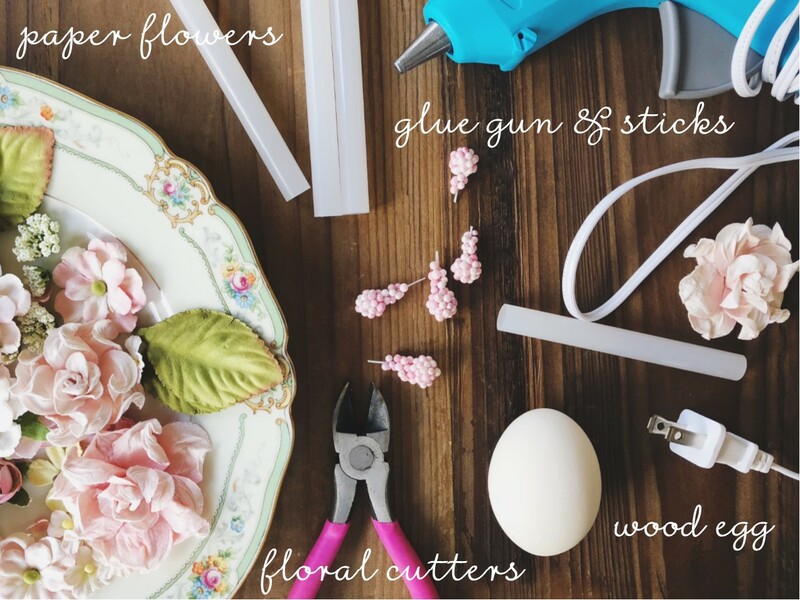 1) Gather the supplies from your local craft store, including a glue gun and sticks, paper flowers in the scrapbook section (or possibly even faux flowers with pretty, tiny blooms), a blank wooden egg form, and floral cutters for trimming any stems off of the paper flowers. You may also wish to buy some little sparkly crystals to glue to the flowers' centers for an extra fancy touch! 2) Lay out the flowers and decide which flowers you'd like to use. You'll need a variety of tiny flowers to medium flowers, nothing too large. 3) Starting in the middle of the egg form, glue a flower. Then slowly start filling in, tucking them in and loading them on! Spend a little time at the end, lifting petals, finding holes, and gluing the littlest flowers in the gaps. It is important to note not to glue flowers at the very bottom so that the egg can sit upright. 4. If you're adding crystals, local a few select flower centers and use tweezers to set the crystals on teeny dots of glue. 5. When setting the table for your Spring event, simply pen the names of guests on small cards, tuck them in the petals, and set at each plate!